Tesla and Mini have joined Jaguar Land Rover in skipping the 2016 Detroit auto show next month. NAIAS spokesman Max Muncey told Automotive News that the brands decided to drop out because the timing of their vehicle introductions did not sync with the show’s timing, which opens for two days of press previews on Jan. 11. The Detroit show is typically used by automakers to unveil new products and update other cars and light trucks. It opens to the public on Jan. 16. “It’s just one of those unfortunate things that can happen when automakers’ product cycles don’t align” with the timing of the show, Muncey said. Muncey said some of the space left behind by the nonparticipating brands will be used for an Aston Martin display. The ultraluxury car brand last made an appearance at the Detroit auto show in 2009. “They jumped at the opportunity, so we’re pumped at the opportunity to bring them in,” Muncey said. A Mini spokeswoman confirmed to Automotive News that the BMW-owned brand will not be exhibiting at the Detroit show or at the 2016 Geneva International Motor Show in March. 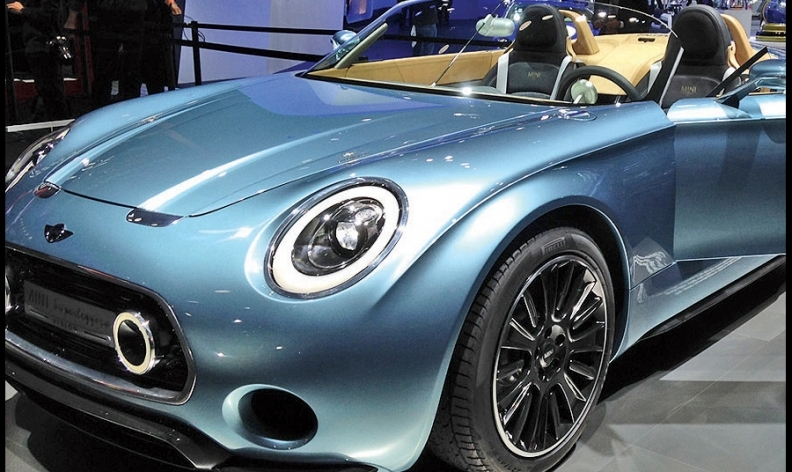 Mini spokeswoman Mariella Kapsaskis said BMW will occupy the space at the Detroit show that Mini previously occupied. A Tesla spokeswoman could not immediately be reached for comment. Tesla had a display but no news conference at the 2015 Detroit auto show. The electric carmaker has been a fixture at the show for several years but lost a bid to sell direct to Michigan consumers when Gov. Rick Snyder last year signed a dealer-backed bill into law that banned automakers from direct sales. JLR announced its decision to drop out last month. Muncey told Automotive News he expects the Detroit auto show to be “jam packed” in January, despite the departures. “If we could’ve doubled the space we had into a second [Cobo Center], we could’ve filled that, too,” Muncey said. He said the show is expecting more than 40 worldwide car and light truck debuts and said several CEOs who are not typically present at media events or auto shows plan to speak during media days.